Ah summer. Arguably the best time of the year to go camping and enjoy the beautiful weather. While every season seems to have its unique qualities and perks, there seems to be something about the clear blue skies, the hordes of mosquitos buzzing about, and the warmth of the sun beating down on your back that really makes you love being outdoors in the summer months. Perhaps it’s the feeling of excitement and freedom you get being able to enjoy two glorious months of doing whatever you please that just makes summer camping so exhilarating. 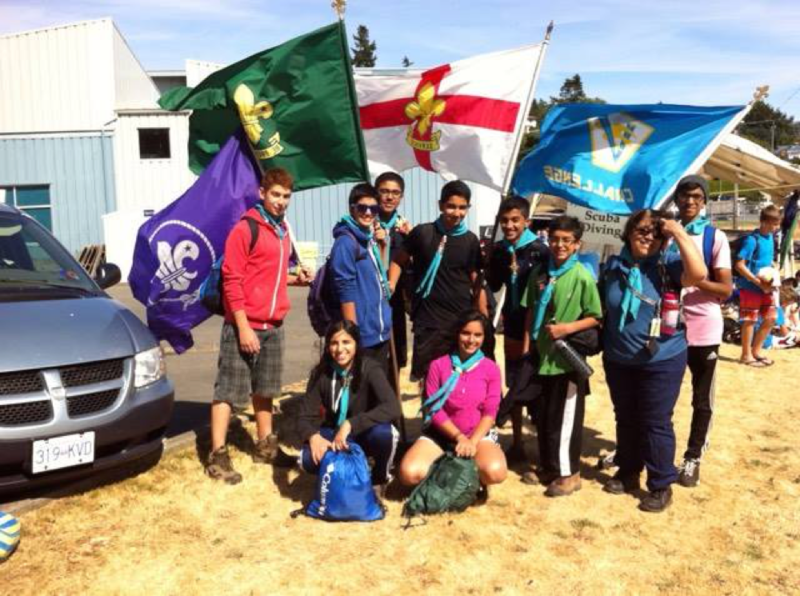 It was with this mindset that my Scout Troop and I packed our bags for the 11th Scouts Canada Pacific Jamboree 2015 from July 11th-18th at Camp Barnard in Sooke, British Columbia. 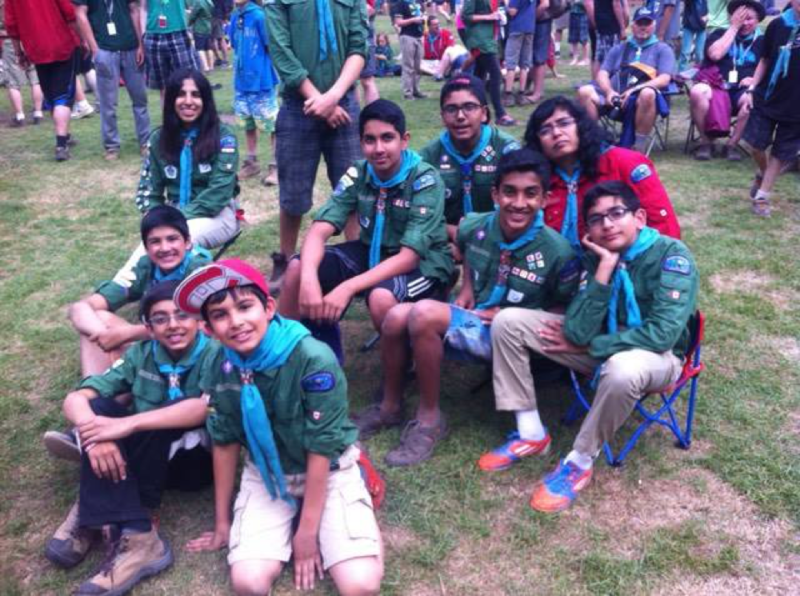 For many us, it was one of our first Scouts Canada Jamborees: an entire seven days away from our families that we were hoping would be filled with laughter, adventure, and memories that we could look back on forever. I had the amazing opportunity to attend the Canadian Jamboree in Sylvan Lake, Alberta in 2013, so I knew this Jamboree was going to be all of that and more. We arrived at the Tsawwassen Bay Ferry Terminal in bright spirits on opening day, each of us carrying our gigantic camping packs complete with seven days’ worth of clothing, camping chairs, tonnes of bug spray, and anything else you could possibly need for an extended camping trip. When we arrived at the entrance of Camp Barnard, we were greeted with a flurry of activity. 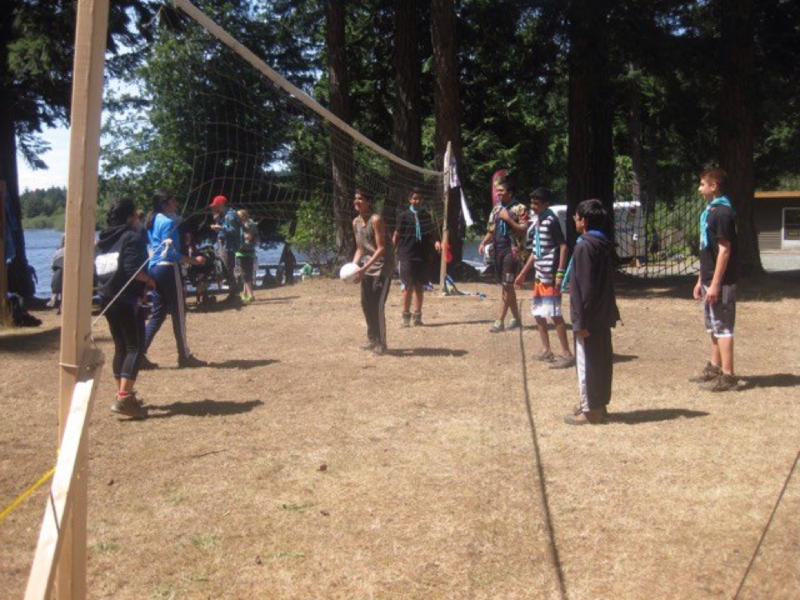 Scouts, Scouters, and Venturers who were coming as Offers of Service (OOS), were mulling about with all their gear, wearing different coloured neckerchiefs that would soon become a uniform teal colour. My Troop and I were not thrilled to find out that our campsite was over an hour walk away from the beginning of the camp, and half an hour away from anywhere else. The first walk lugging our packs, stoves, lanterns, and tents was quite an eventful one to say the least, with pieces of equipment seeming to fall off every five minutes as we trudged up the rougher parts of the dusty path. However, not even the seemingly endless trail could bring us Scouts down – we had faced far worse and survived, plus we were all much too excited for the upcoming activities. Hiking Mt. Bluff, swimming, kayaking, canoeing, and the most greatly anticipated adventure, scuba diving, were all to come. The amazing part of this camp was that there was a lake and a few mountainous hikes that we could do on site; you can tell by the amount of time it took us to get to our actual campsite that this place was massive. There was even a sandy volleyball court that my group made good use of when we had some free time. The days seem to fly right past us as we had one adventure after another. 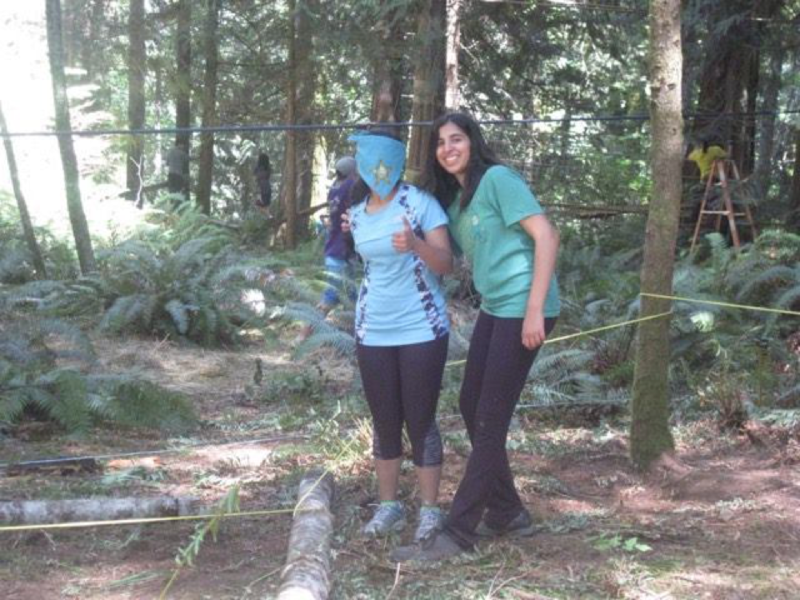 From doing an entire outdoor adventure challenge course in the woods to going kayaking and exploring the Canadian Forces Base of Esquimalt, every day was filled with laughter and unique, amazing memories. Of course, no Scouts Jamboree would ever be complete without the traditional Scouting activity of badge trading and getting to meet Scouts from all over the world. My group especially bonded with a Scouting group from Mexico. It was really enlightening to actually witness how many countries participate in Scouting and it made me feel a part of one large, global Scouting community. When the day of the closing ceremony arrived, we were all disappointed because it meant that our time at Camp Barnard was coming to an end (and also that we were going to have to carry all of our gear back on the super long trail). I know most of us would have loved to spend another week camping with our new friends, but it was time to go home. As a second year Venturer, participating in Scouts Jamborees are now in my past but I am hoping to attend some upcoming Jamborees including PJ’19 as an OOS to create even more amazing memories. 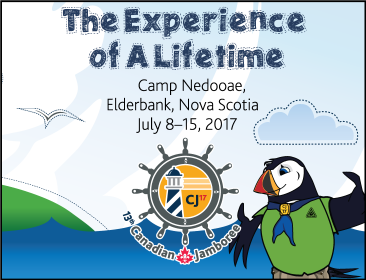 Although my group can’t make it to CJ’17 this year in Elderbank, Nova Scotia, I highly encourage you to gather your Troop and go as a participant or as an Offer of Service. Who knows, it might even be your epic summer adventure story.